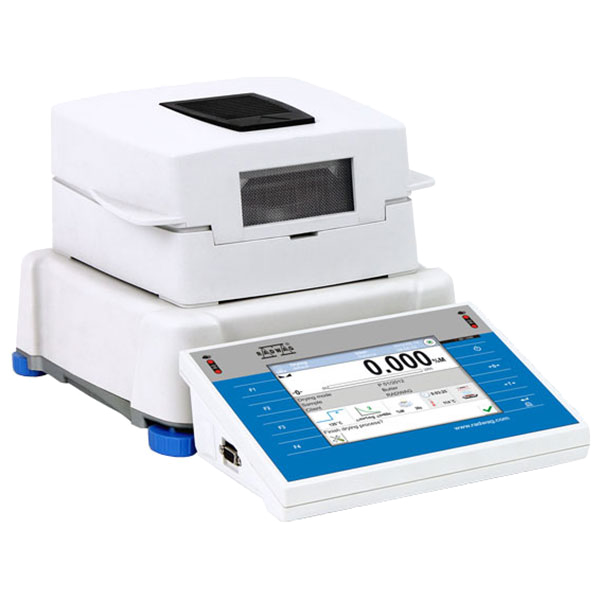 Moisture analyzer is a laboratory measuring instrument intended to determine relative moisture content in samples of different substances. 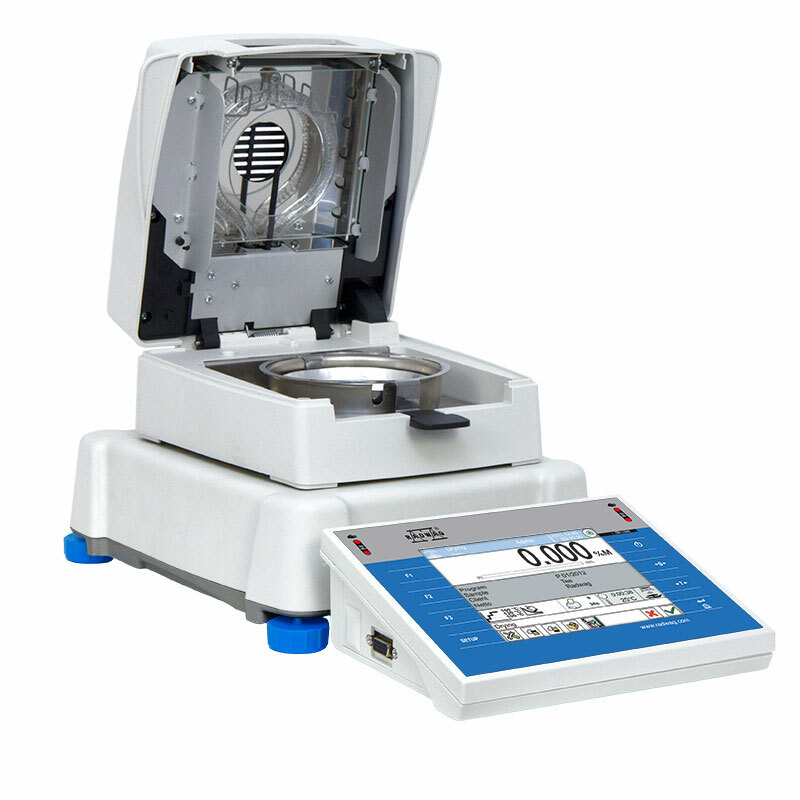 MA 3Y features 5,7" LCD colour touch panel which provides new possibilities of instrument’s operation and presenting measurement results. 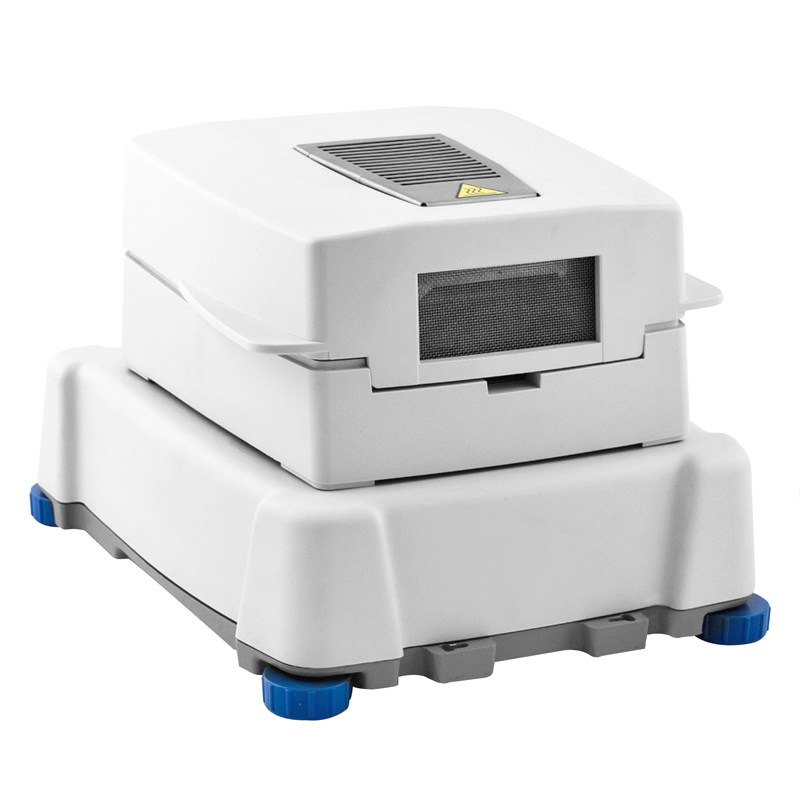 It features extended databases containing programmable drying modes related to the database of samples. MA 3Y series enables printing and exporting charts presented on its display to a BMP file. interfaces: 2 x USB 2.0; 4IN / 4OUT; RS 232; Ethernet 10/100Mbit. 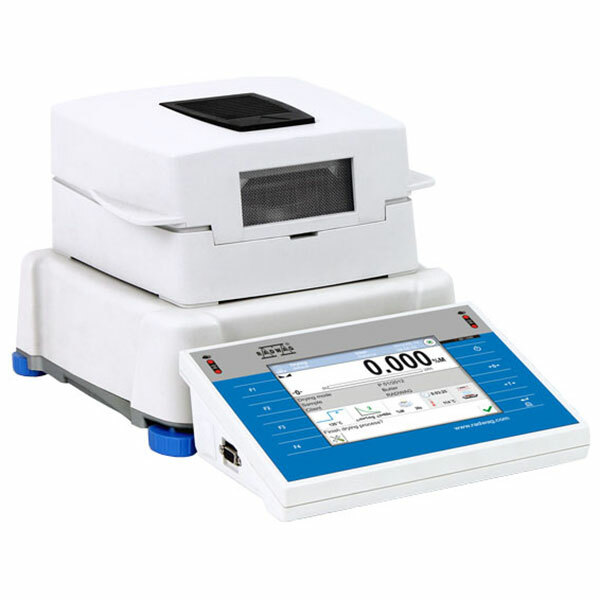 3Y series balances are equipped with Wireless Module communication interface. Communication is established likewise as for any other interfaces, e.g. : RS 232, Ethernet. Personalization of instrument’s settings is carried out in extended user profiles. Level control is based on LevelSENSING system,RADWAG patented solution, which uses a system of an electronic level. Standard and user defined printouts allow for maintaining documentation complying with GLP/GMP requirements practically in any application. PC USB keyboard Cable RS 232 (scale - Kafka printer) "P0136"
Antistatic cable PA1 Cable RS 232 (scale, Epson, Citizen printer) "P0151"